The Mayo Clinic prides itself in working at the cutting edge of medicine. And these days, that means an approach called precision medicine. It's an effort to integrate genetic scans and personal information to better understand disease. It has its skeptics, and one of them is a medical researcher at the Clinic's campus in Rochester, Minn. NPR's Richard Harris went there to explore both sides of the debate. RICHARD HARRIS, BYLINE: Good morning - Richard Harris. MICHAEL JOYNER: Yeah. Nice to meet you. How's everything going? HARRIS: Nice to meet you - great, thanks. How are you? HARRIS: Michael Joyner has rolled up on his bike to meet me as he heads to work. He practices what he preaches, which is that exercise and diet matter much more to your health than whatever's written in your genes. JOYNER: My lab is over at St. Mary's Hospital, which was founded in the 1880s. HARRIS: We approach the beautiful, old building. Though many of the Mayo Clinic's research labs have moved on to much more modern, fancier facilities, it still suits Dr. Joyner and his colleagues. He's been at the Mayo Clinic more than 30 years, and he finds himself increasingly out of step with the devotion to high-tech and high-price strategies like DNA analysis that have increasingly swallowed up the research dollars and captured the intellects at Mayo. JOYNER: The enthusiasm for this is occurring in a country where life expectancy's actually falling. HARRIS: That fact alone leads Joyner to ask whether the billions being poured into high-tech medical research are really solving the nation's stark health problems like obesity, heart disease, high blood pressure, diabetes, Alzheimer's, cancer. Joyner says for sure there are appropriate places to use this technology and individual stories of success, like diagnosing rare diseases. But he believes the way forward in medicine is by studying whole people and focusing less on their genes. JOYNER: So here we go. HARRIS: We head into his group's lab where volunteer Greg Ruegsegger is outfitted with monitors, a catheter threaded into a vein and a mask to capture his breath. 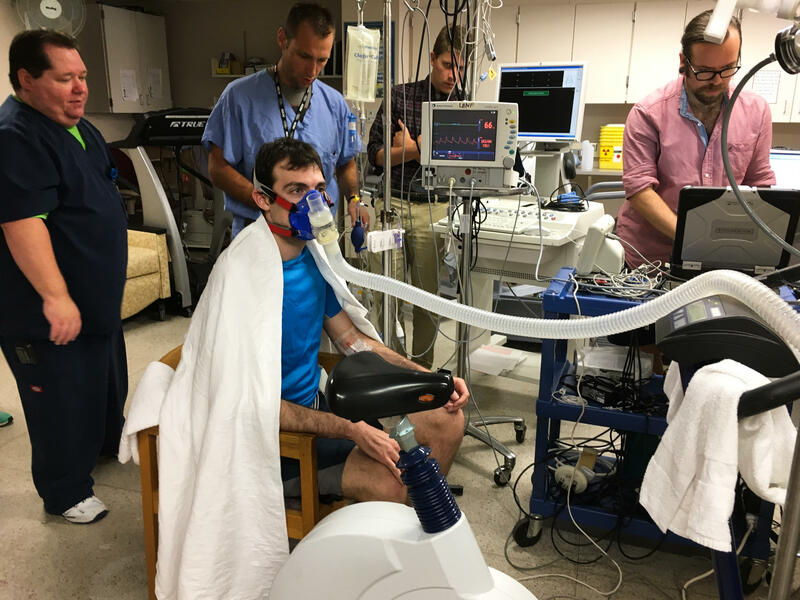 Scientist Steven Chase outlines the experiment, which will involve a ride on a stationary bike to the point of exhaustion. STEVEN CHASE: So yeah, we'll have you breath on the mask for about 10 minutes, get you on the bike, do those pulmonary function tests and then move into the max test. GREG RUEGSEGGER: The fun part. CHASE: Yeah, the really fun part (laughter) - any questions? RUEGSEGGER: No, we're good to go. HARRIS: Joyner studies human performance and says studying people as whole systems yields far more insight than sequencing their genomes. JOYNER: People have looked at 3,000 elite endurance athletes. These are people that compete in the Tour de France, win Olympic medals in cross-country skiing and distance running. And they've been unable to find any genetic signals associated with the superior performance in these people. 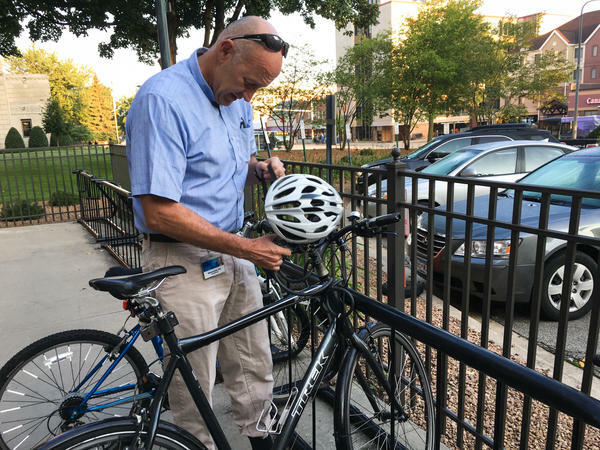 HARRIS: And when it comes to the health of ordinary people, Joyner talks about real-world studies which show that walking or biking to work has a much bigger influence on your weight than the gene variants that are the focus of precision medicine studies. CHASE: Going to start that metronome again. Sync your breathing with it. HARRIS: As we've been talking, Ruegsegger has gotten on the stationary bicycle and has gradually been pushing the limits of his endurance. CHASE: Go ahead and start taking those big, fast breaths. Try and move as much air as you can. There you go - a little bit bigger breaths, if you can, a little bit deeper. HARRIS: Joyner monitors Ruegsegger's vital signs and blood gases as the exercise gets more intense. And in a few minutes, the test approaches its climax. UNIDENTIFIED MAN: Get up this hill. Come on, Greg. CHASE: Keep it going. Keep it going. UNIDENTIFIED WOMAN: Greg, you got it. CHASE: There you go. Good job. UNIDENTIFIED MAN: (Inaudible). Push to the end, man. Come on. CHASE: You got this. Keep it turning. UNIDENTIFIED MAN: Come on. Push. Push. CHASE: Push it one more time - one more time. Recover. JOYNER: So now we'll get some recovery. He'll rest for about 45 minutes, and then we'll do the hypoxia trial. HARRIS: Joyner is focused on how the body's systems work together during exercise. The same interconnectedness applies to many diseases. That's why cancer drugs that target one pathway generally don't last long. Tumor cells simply find other pathways in the network to exploit. And that's why Joyner has so little faith in science that keeps trying to focus down on smaller and smaller details. JOYNER: One of the things I think we have to ask ourselves when you get these big initiatives is, what's the definition of success? HARRIS: In his mind, this flood of information doesn't matter unless doctors can use it to create effective and affordable treatments, treatments that patients will actually follow. This is the promise of precision medicine in the long run, but Joyner sees little evidence of success to date, particularly in the drive to collect vast piles of information, hoping to make sense of it later. JOYNER: And the question is, is this just going to be kind of a biological Tower of Babel, or will we be able to actually sort meaningful information out of this? 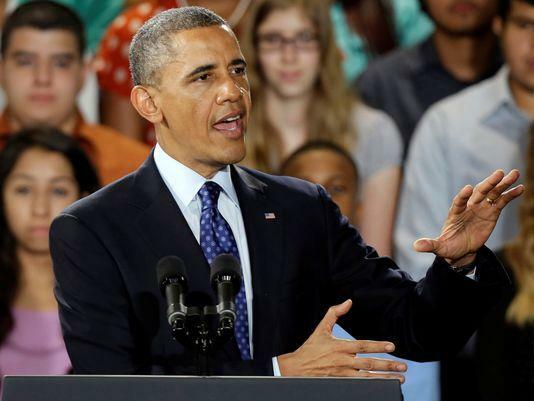 HARRIS: Now, his views aren't popular elsewhere at the Mayo Clinic, which is sinking hundreds of millions of dollars into precision medicine, like in the shiny new labs across campus. They seem a world apart from Joyner's lab in the old hospital. JULIE CUNNINGHAM: And so this is our new space that's been remodeled. And so we've got plenty of room for everything to happen. HARRIS: Julie Cunningham is 1 of 3 co-directors of Mayo's Medical Genome Facility which the clinic's public affairs officers are eager to show me. This room is chock full of machines that cost many hundreds of thousands of dollars apiece. They can analyze DNA from blood, a tumor or even a single human cell. They can read out an entire genome or just a subset, which is called an exome. Yes, this costs real money, Cunningham says. CUNNINGHAM: But I do believe that understanding our genome is fundamental. I mean, I've had my exome sequenced. HARRIS: What did you learn? CUNNINGHAM: I learned that by and large, I'm really very lucky (laughter). But I do have two variants, actually, that affect my ability to respond to particular drugs that are out there. CUNNINGHAM: Oh, yes. In fact, I know I have a sensitivity to one, and I've known it for a long time. But now I know exactly why I have it. And it's potentially serious. And that has to be good. There's nothing wrong with that. HARRIS: But it's not clear how valuable that is, either. Though DNA tests can help doctors avoid a few potentially dangerous reactions during cancer chemotherapy, the DNA tests do little or nothing to improve outcomes in other instances, such as among patients getting the blood thinner warfarin. Keith Stewart, a physician who heads the Mayo's Center for Individualized Medicine, says these are early days for precision medicine. Give it time. KEITH STEWART: Although we think conceptually this is going to be of high value and it will ultimately improve health care with better quality and lower cost, we have to prove that. If it doesn't all pan out the way we expect, that's OK. But I think there will be plenty of unexpected areas where it's beneficial that we haven't even conceptually realized yet. HARRIS: And in the meantime, medical practice is forging ahead. GIANRICO FARRUGIA: What we're beginning to see is that technologies is invading and replacing traditional testing. HARRIS: Dr. Gianrico Farrugia, a vice president of the Mayo Clinic, says there's no turning back now. FARRUGIA: That's not only wrong. It's impossible. HARRIS: And with the momentum now built up behind this enterprise, precision medicine will be judged like much of modern medicine - in hindsight after it becomes entrenched in clinical practice. Richard Harris, NPR News. 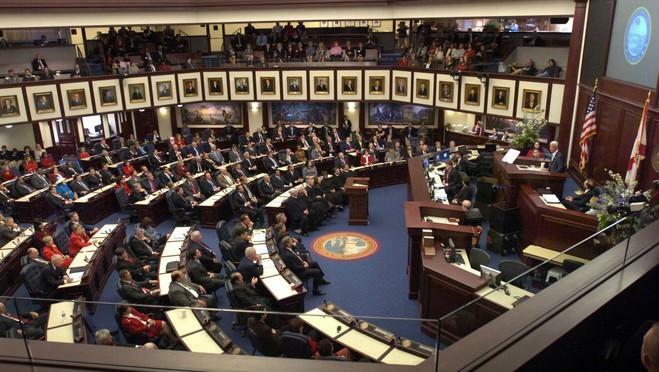 Would-be patients would have the benefit of knowing whether health care providers working at hospitals and outpatient surgery centers go to their own facilities to seek treatment, under a bill that has been fast-tracked in the Florida House.